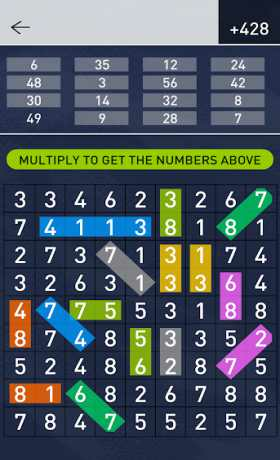 Hidden Numbers is a new and original educational puzzle game in which you will practice Math and counting numbers in an entertaining and challenging way! Education has never been such fun! You will never need a calculator again! This is a premium ads-free version with extra game modes and features! The game does not contain any sounds or music, so you can comfortably listen to your favorite music while solving the Math puzzles. The goal of the game is simple: Find all the numbers above the board as fast as possible! 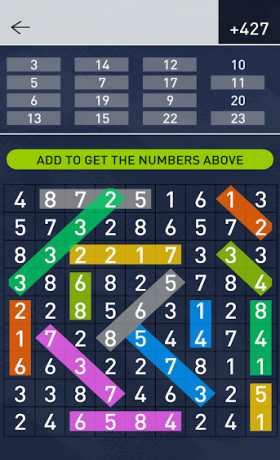 – Find Numbers – simply find all the numbers above the board! It’s similar to playing word search games, only here you are looking for numbers instead of words! To select the number just slide it over with your finger. – Count (adding/multiplying) with help – Add/multiply the numbers by sliding over them and try to get the results above the board! There will be shown a help (overall result of your adding/multiplying) at the top of the screen. 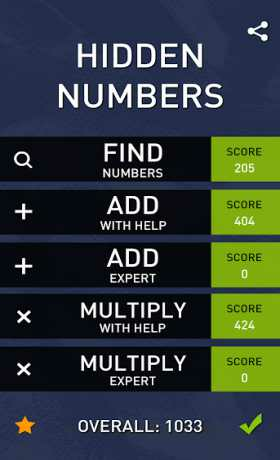 Have a nice time playing Hidden Numbers PRO and if you like the game and want to support it so please leave a review and rate the game. Thank you for your support!